Uber, the ride-sharing technology company, is expanding its self-driving pilot to San Francisco, California, using specially-converted self-driving Volvo XC90 premium SUVs. The move marks the next phase in a deepening alliance between Volvo and Uber after the two companies signed an agreement in August 2016 to establish a jointly-owned project to build base vehicles that can be used to develop fully autonomous driverless cars. These cars were initially tested in Pittsburgh, Pennsylvania. The latest cars to be used in San Francisco have been built by Volvo and sold to Uber, after which Uber's own self-driving hardware and software package has been added, most visibly in the roof-mounted control apparatus. These cars will drive around the streets of San Francisco autonomously, but as part of the pilot programme they will at all times have an Uber technician on board to supervise the car's operation. "The promise of self-driving ride sharing is becoming a reality," says Mårten Levenstam, vice president product planning at Volvo Cars. 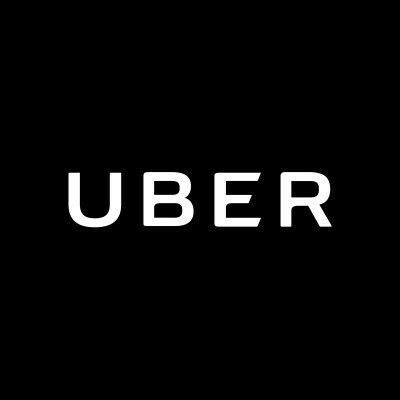 "Volvo is proud to be at the forefront of the latest developments in the automotive world alongside our partners at Uber." The alliance with Uber forms one part of Volvo's three-part plan to develop autonomous driving (AD) technologies. In January 2017 it will begin a project entitled Drive Me, which will be the world's largest autonomous driving test in which up to 100 AD cars will be given to members of the public to be driven on real roads around Gothenburg, Sweden. Their experiences will be used to co-develop Volvo's AD cars. The second part is a joint venture with Autoliv, the leading automotive safety technology company, to set up a new jointly-owned company to design and manufacturer separately-branded AD and driver assistance software technology packages for sale to third party OEMs. The new company will have its headquarters in Gothenburg, Sweden, and an initial workforce taken from both companies of around 200, increasing to over 600 in the medium term. The company is expected to start operations in the beginning of 2017. The third part is the ongoing relationship with Uber to build and co-develop base vehicles for AD cars. This deal reduces Volvo's developments costs, gives it a chance to develop cutting edge technology and could ultimately boost sales significantly. The base vehicles are manufactured by Volvo and then purchased from Volvo by Uber. Volvo Cars and Uber are contributing a combined USD 300m to the project. Both Uber and Volvo will use the same base vehicle for the next stage of their own autonomous car strategies. The cars to be used in San Francisco are developed on Volvo Cars' fully modular Scalable Product Architecture (SPA). SPA is one of the most advanced car architectures in the world and is currently used for Volvo Cars' top-of-the-line, multiple award-winning XC90 SUV, as well as the S90 premium sedan and V90 premium estate. SPA has been developed as part of Volvo Cars' USD 11bn global industrial transformation programme, which started in 2010, and has been prepared from the outset for the latest autonomous drive technologies as well as next generation electrification and connectivity developments. It is these capabilities that attracted Uber to Volvo.